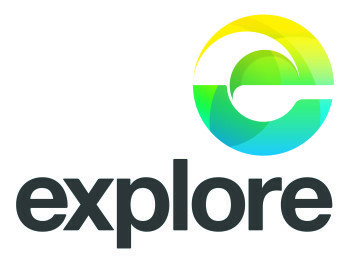 See incredible places, take unexpected journeys and meet fascinating characters with the unique experiences offered by Explore Tours. This tour is only available from 1 October to 30 April. 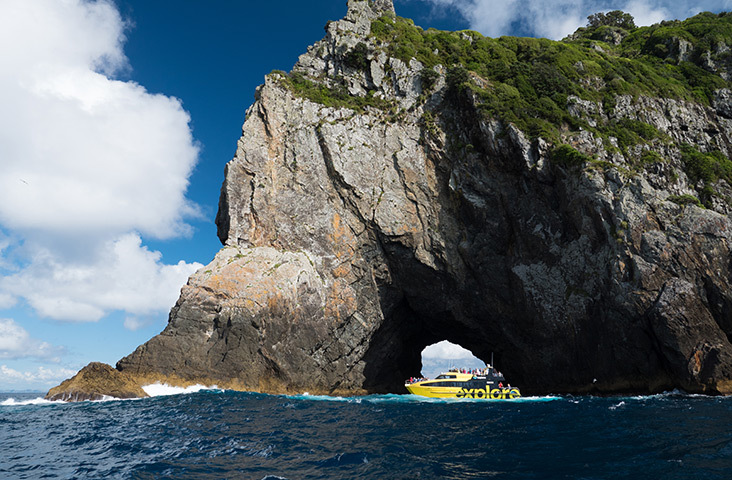 Experience the time-worn monolith standing guard over the entrance to the Bay of Islands. 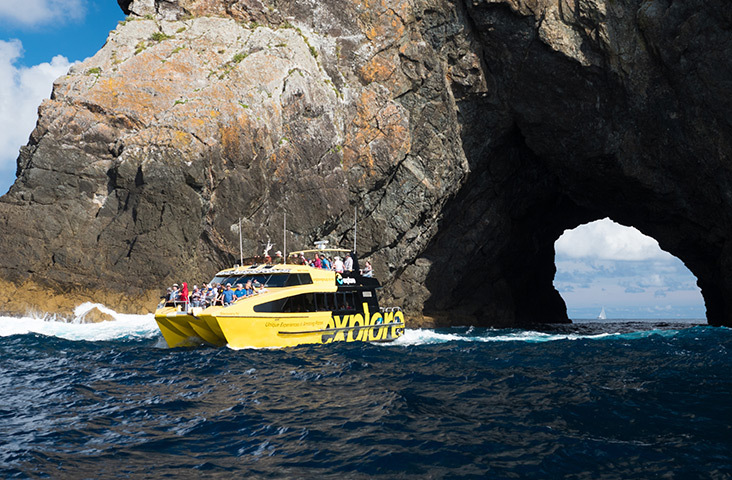 Travel in comfort on our black and yellow powercat where we limit the number of seats sold to keep our trips photo friendly. 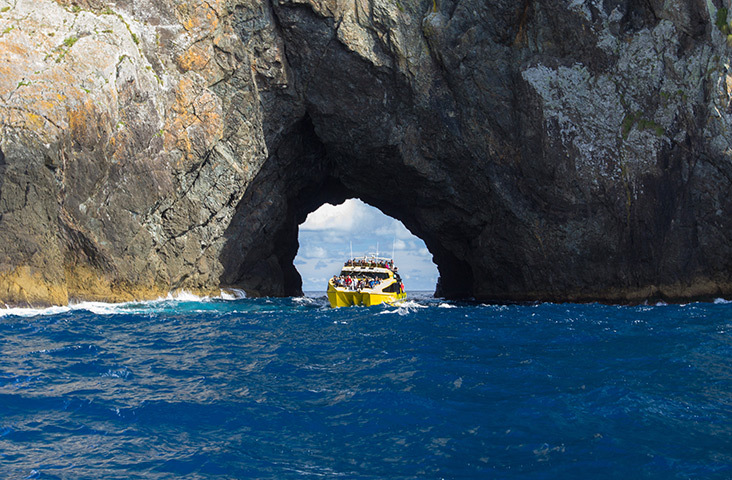 Travel right through the ‘Hole in the Rock’ when conditions permit. You’ll also see the Cape Brett Peninsula and the Cape Brett lighthouse. You’ll learn all about the region with cruise commentary from our knowledgeable local skippers. 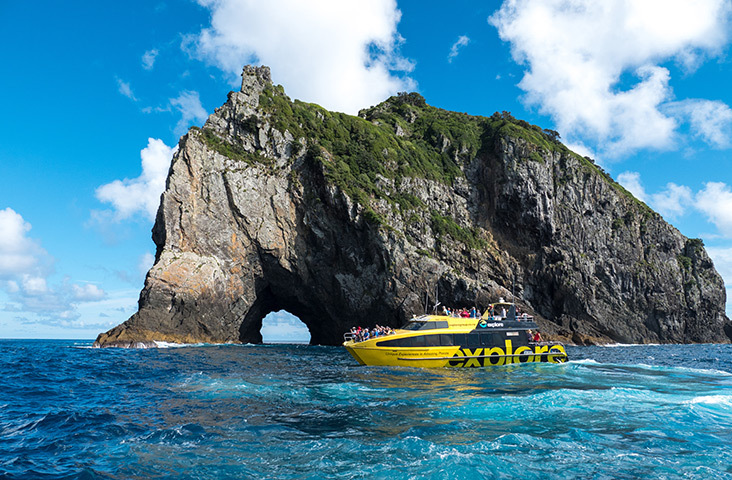 The cruise will stop off at Otehei Bay on the way back to Paihia and Russell. 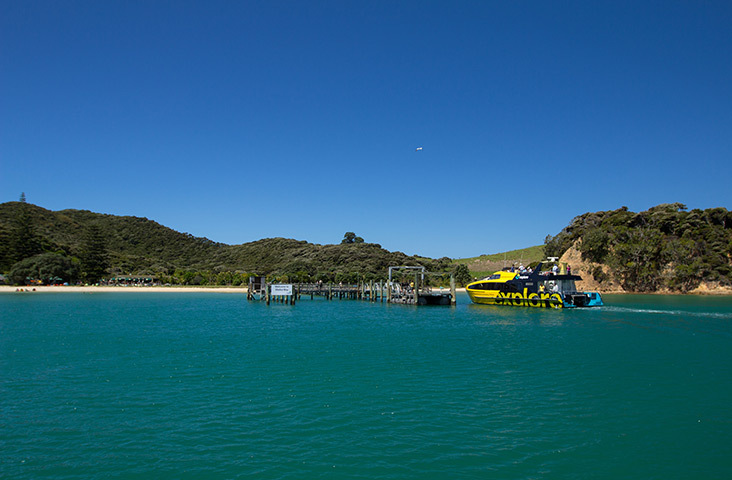 If you’d love an island experience you can extend your stay and return on one of our ferries that day for no additional charge (subject to availability – bookings essential), OR use a free ferry ticket to return from Russell at a later time if you want to stay even longer.